We’re going green this week — well, with our teas anyway. Tazo’s Zen tea is a mix of green tea, spearmint, lemon verbena leaves and lemongrass. You should be able to pick it up at both your local grocery store or through Starbucks. It’s a spritely tea with sweet, lemon and mint overtones. Personally, the flavors tasted stronger and more clear while hot, but you can pour the tea over ice for a refreshing green iced tea. Both comics mix the everyday and the magical in their own ways. The pairing should feel crisp, sweet and maybe a little tart to highlight the lively, adventurous nature of our protagonists. Section of a panel from Bee and Puppycat #5. 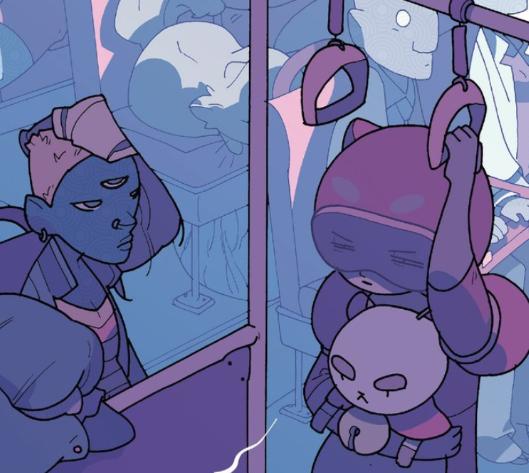 Bee and Puppycat #5 is a fun standalone if you’re not sure about picking up the series — even though you definitely should, there are only 6 issues so far and you can get the whole set as a bundle from BOOM! Studios; not to mention that the whole series is amazing. Usually written by Natasha Allegri and Garrett Jackson, and illustrated by Allegri, issue #5 hosts four short Bee and Puppycat stories written and illustrated by T. Zysk, Chrystin Garland, Flynn Nicholls and Meredith McClaren. The overall series is a comedic slice of life with a twist, which follows Bee — a temp job magical girl — and her companion PuppyCat who is maybe a puppy? Or maybe a cat. Or maybe something else entirely. Whatever they are, they’re combination is fun and sweet and really refreshing to see in comics. Section of a panel from Lumberjanes #1. 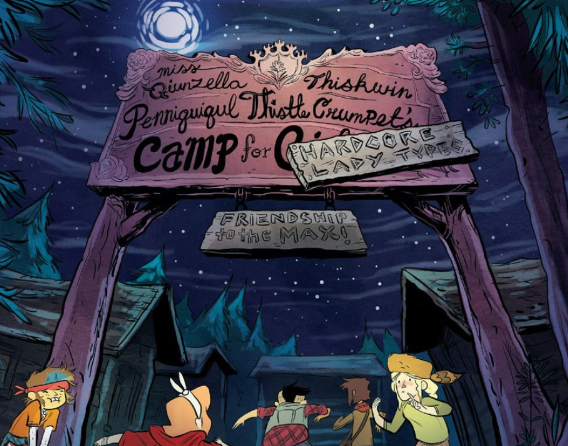 Lumberjanes #1, written by Noelle Stevenson and Grace Ellis and illustrated by Brooke Allen, follows five female protagonists: Mal, Molly, April, Ripley and Jo during their time at summer camp. Lumberjanes is only on its tenth issue, and reads easily. Similar to Bee and Puppycat, there’s a magical element to the storyline, as the girls explore supernatural forests and conquer the beasts within it. It’s campy in both the literal and metaphorical sense — in a good way, I promise. There’s a liveliness and humor about it that keeps the story feeling vibrant. It’s obvious off the bat that each character has a completely unique personality that makes it easier to relate to the group as they react to the magical dangers surrounding their summer camp. Both works this week introduce ordinary characters as they begin to interact with extraordinary surroundings. The protagonists are generally sweet, and they’re story lines are humorous. They show versatility in personality amid different situations, similarly to the versatility in flavor for this week’s tea. More importantly, this week’s recommendations are adventurous. No harsh grit or back-alley deals, they’re minty-fresh and ready to explore new realms of possibility with you.